One of the most common problems we see here at Armor is failing/failed hard drives, and more often than not, the customer does not have a backup of their data. People are often surprised by the failure of their hard drive. However, the hard drive itself is one of the most complicated parts of the computer. There is an electro-mechanical arm that reads data on a disk spinning at thousands of RPMs, which is thermally expanding and contracting inside the hard drive. Oh, you have an SSD? A lot of people assume that because a solid-state-drive has no mechanical parts, then, logically, it won’t fail. However, we’ve found that solid state drives and mechanical drives are equally reliable for at least their first few years of use. Have you ever had a USB flash drive stop working? That’s what an SSD is, same technology. 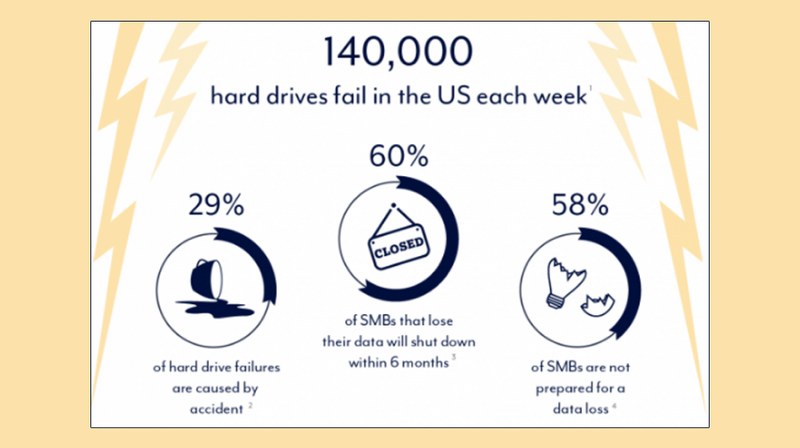 A recent study, conducted by Google and the University of Toronto, found that “more than 20% of flash drives develop uncorrectable errors in a four year period, and 30-80% develop bad blocks.” Also, when they do fail, data recovery is much more difficult—not to mention expensive. When we can’t recover a drive, we recommend a company called Gilware. They have a professional, ISO-5 Class 100 clean room data recovery lab. According to them, “recovering data from a dropped and clicking hard drive can cost between $500 and $1200 depending on how damaged its internal components are and how many mechanical, electrical, or firmware repairs have to be made in order to salvage data from it.” That number jumps to between $1000 and $6000 for SSDs. No matter what kind of drive you store your data on, data loss is just something that happens. Your device will fail; it is only a matter of time. If you do not wish to lose your data, you need to have a backup. Preferably, multiple backups. I like the 3-2-1 method. One backup simply isn't enough: what will you do if your main drive fails and it turns out that your backup is corrupted? If you only have one computer, then a simple external hard drive will do the trick. Both Windows and Macs come with preinstalled backup software. Simply connect the drive to your computer and set up a backup schedule. For a family or a small business, I would recommend a Network Attached Storage (NAS) device like Western Digital's My Cloud. This device connects directly to your network so it can backup all of your computers. And if you want to be extra-secure, set up a RAID to mirror your backup. Now that you have 2 copies of your data, it's time to make a third that is kept in a remote location. 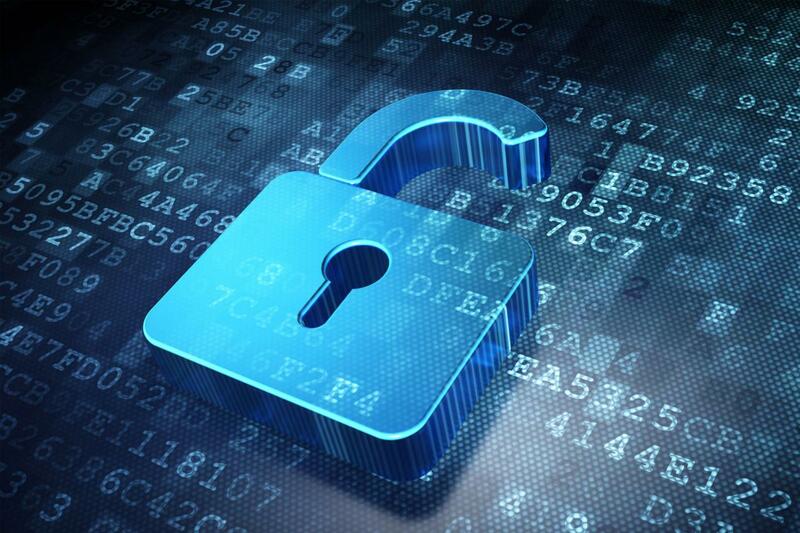 You could make a copy and store it in a safety deposit box, but most people use the cloud. You have a ton of cloud storage options, we even wrote a whole article about them, so I'm just going to recommend the two that I use: Google Drive and Dropbox. They are incredibly simple to use: just install their software on your computer, choose which folder(s) you want backed up, and you're done. Anytime you add, remove, or change a file in the folder, it automatically gets backed up. Some of you might be thinking, “I already know all of this; I regularly back up my data.” To which I say, “good, how often do you verify that your backups work?” Storytime! Two friends, Bertie and Jeeves, are having a raucous discussion about data backups (I know, who hasn’t?!). It turns out that Bertie makes a backup every week, while Jeeves only does so once a month, and Bertie makes fun on him for being so lax. However, it turns out while Bertie has been making backups of his hard drive religiously, he had never tried restoring from those backups until his hard drive died. When he went to restore from his carefully cultivated backups, he was aghast to discover that none of them actually worked. Jeeves then politely points out to Bertie that if you don’t check that you can actually restore your data, it doesn’t matter how often you backup your drive. Now that you have your backups, test them. See what happens when you actually attempt to restore your data. 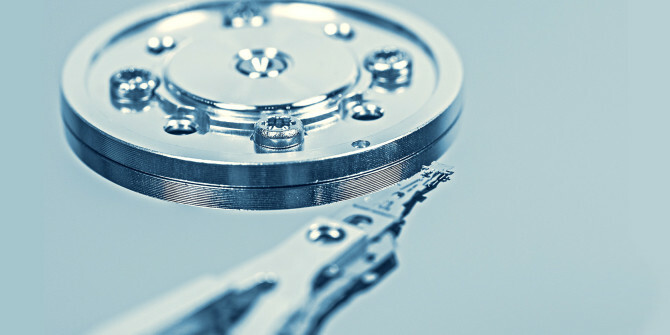 If you do not have a backup and believe your hard drive is failing, or you accidentally deleted data you need, turn your computer off and bring it to a professional. Continued use of the computer risks damage to the hard drive during failure or risks writing over the locations where your lost data may be. Here at Armor, we will inspect your hard drives, flash drives, and other removable media for data recovery. We can back up your data, we can rebuild your RAID array, we can fix the broken jack on your flash drive to get the data off, we can scan and recover data lost if your partition tree is damaged, we can recover your files when your operating system is corrupt, we can recover I.T. Contact us today!